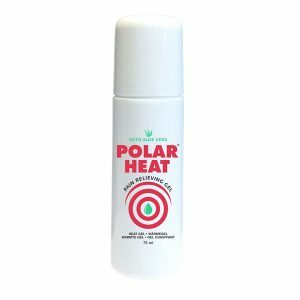 Polar Heat Gel is perfect for non-invasive therapies for muscle and joint pain. *Don’t use warm therapy in case of swelling tissue, it will give a contra indication, the swelling will be larger and the inflamed tissue spreads. However, pain that returns like chronic injuries, can be treated with heat, which brings blood into the area and to promote healing.